1. Set specific short and long term goals. The New Year is always a challenging time for everyone. We've just spent the last month saying 'bon appetite' to a frankly impressive amount of Christmas ham, desserts, booze and cherries, and saying 'au revoir' to all self-control, the gym and healthy choices. Now is the time to make changes. And we don't mean write a page-long list of New Year's resolutions. It's about committing to a healthy lifestyle, not a fad diet or unachievable exercise routine. 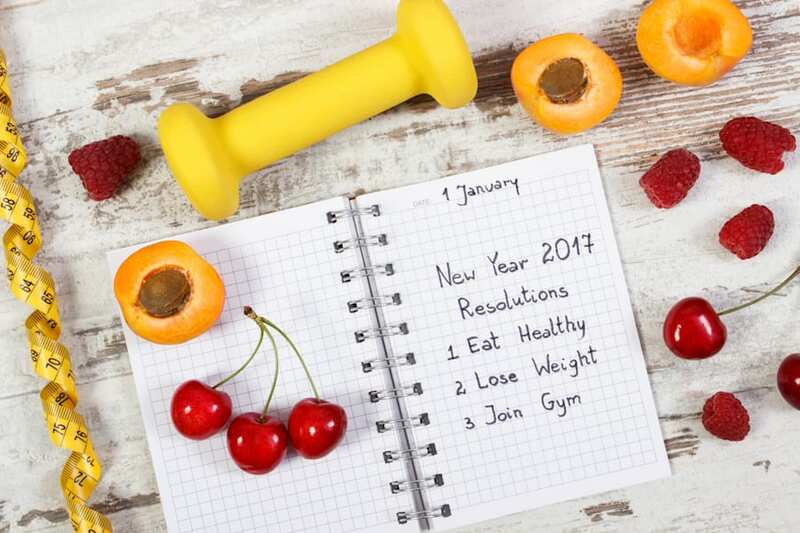 "Christmas and New Year's are a time for slowing down, catching up with friends and family, overindulging and setting good intentions for the New Year," nutritionist Fiona Tuck told The Huffington Post Australia. "While it's easy to let our health judgement deteriorate completely, sticking to a few good habits every day will make it so much easier to get back on the wagon." Surround yourself with a positive network of friends and colleagues. A positive environment will help lift you and strive to be the best version of yourself. According to dietitian Robbie Clark, the main reason why we're in this boat in the first place is due to a lack of planning over the silly season. Oops. "A major reason, I believe, a lot of people fall off the bandwagon during the festive season is that they do not have a plan in place to tackle situations or environments where they are presented the opportunity to over indulge," Clark said. 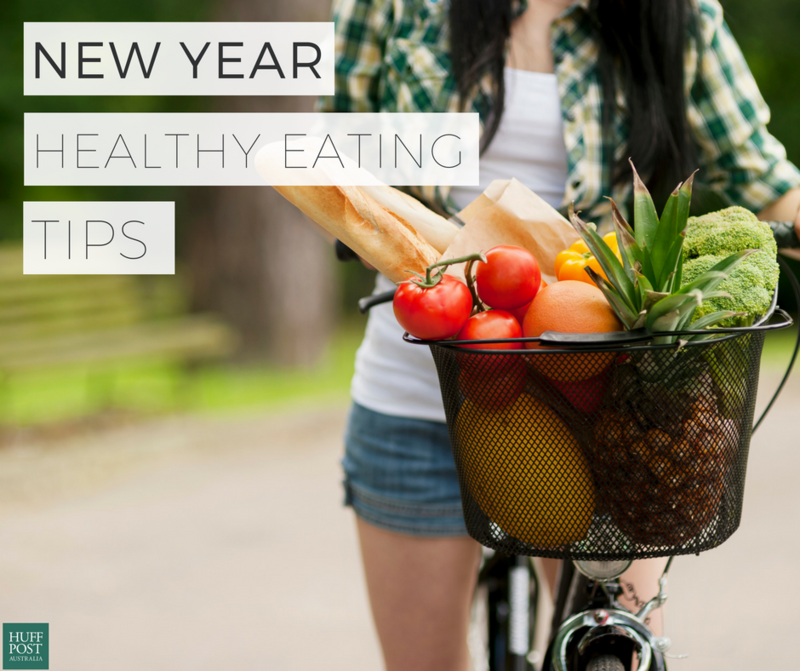 All the more reason to follow these 13 realistic healthy eating tips to help get you back (and stay) on track all year long. "Firstly, the best thing you can do is acknowledge the fact you have not been as disciplined with your health as you could be. This acknowledgement then acts as a catalyst for change," Clark told HuffPost Australia. "Before jumping back on the wagon, make sure you have set short term and long term health goals. These goals should be specific, measurable, achievable, realistic and have a time frame attached to them." By setting specific and achievable goals, not only will you actually reach them, but the feeling you get from doing so will inspire and encourage you to keep going. On the other hand, if you make goals 'look like Gigi Hadid by February', you're only setting yourself up for failure. 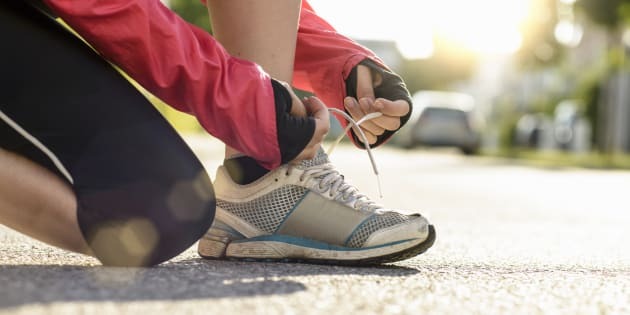 "Once these goals are in place, you will have a much clearer picture of what it is you need to do to achieve your health goals." You NEED to be more specific than this. Not sure what a realistic goal is? "Exercising 3-4 times a week, cutting out refined sugar and decreasing alcohol are all small, achievable goals that will benefit you slowly, but are easier to maintain than trying to commit to exercise every morning at 6am, or banning yourself from carbs or alcohol," Tuck said. "Having an event to get ready for is a great motivator." It helps to write these goals down -- even put them on your fridge or wall so you can see them every day and work towards them. After a time of indulging, many of us fall into a spiral of guilt and self hate. But these are not helpful to a healthy lifestyle -- in fact, not all the green juices in the world can teach us self love and body acceptance. "Don't be too hard on yourself. The more rules and restrictions, the more likely you'll give up," Tuck said. "If you've really overindulged, punishing yourself with a strict diet and exercise regime is not always the best way to get back on the health wagon as you will fatigue and burn out quickly. 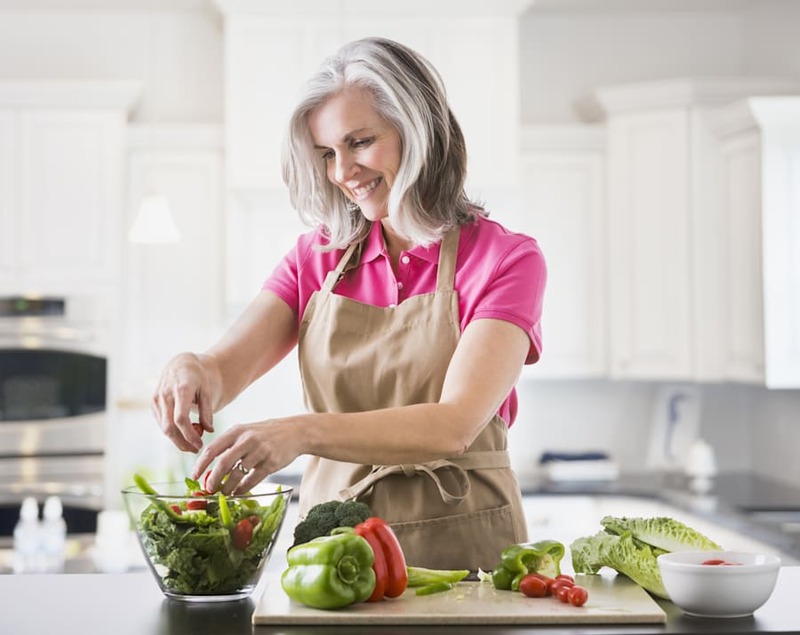 "Start slowly by adding in gentle exercise and decreasing portions, or cutting out sugar by swapping to healthier alternatives, rather than completely denying yourself. This will lead to long term benefits and mean you're more likely to stay on track. 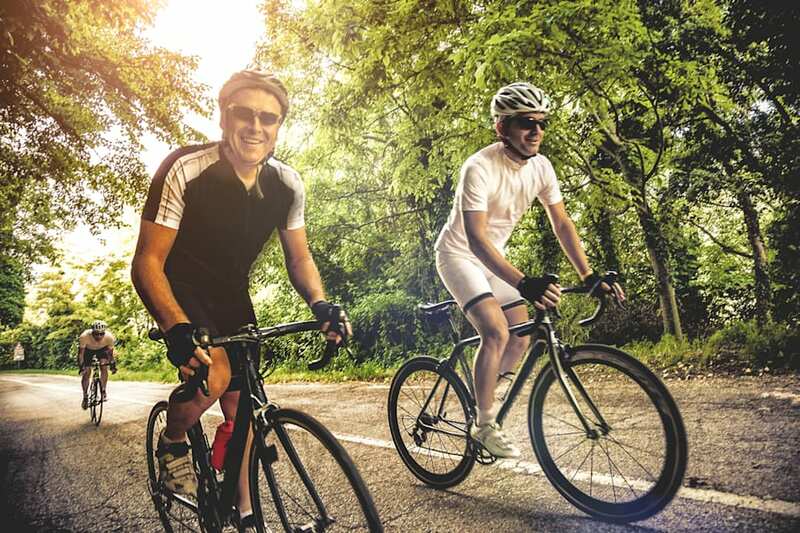 "Start gentle exercise of 30 minutes a day, especially if you have been very sedentary. Simply walking is a great place to start, and then as your fitness improves you can start to increase time and intensity." Try mediation and yoga. It's gentle, relieves stress and can help you stay on track with your goals. You've probably noticed that if you have an unhealthy breakfast (looking at you, Egg McMuffin), you're more likely to eat unhealthy food for the rest of the day. Starting your day with a healthy brekkie, however, will make you feel more inclined to keep the day going well. 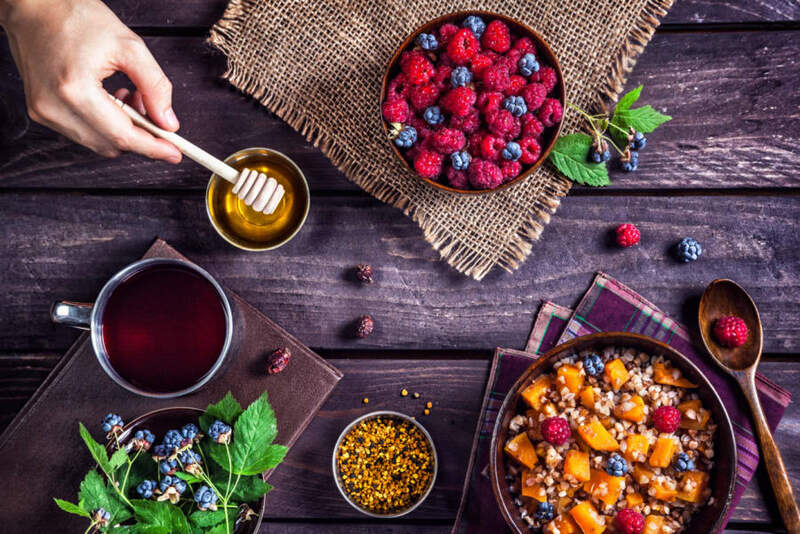 "Start every day with a healthy, nutrient packed breakfast, such as a protein smoothie with berries for antioxidants and fibre, ground flaxseed for fibre, protein to fill you up, cinnamon for blood sugar stabilisation and coconut water for electrolytes," Tuck said. "Add in veg such as spinach and celery, and take a quality multi-vitamin and probiotic. "Starting your day with a health kick will not only give you a good dose of nutrients for the day, but may also help curb your appetite and naughty habits later on in the day by reducing cravings." A healthy brekkie consists of: whole grains (oats or whole grain toast), fruit (or veg, for a savoury dish) and protein (nuts, yoghurt, protein powder). Hydration is key for numerous bodily processes, and it also helps to make our skin and digestion better. This year, treat yourself to a pretty water bottle, or one that indicates how much water you need to drink by certain times of the day. "Stay hydrated to decrease hunger and fluid retention, as well as stave off that hangover if you've really overindulged," Tuck said. "Hydralyte, coconut water and good old room temperature water sipped on every 15 minutes is a great way to counteract dehydration and therefore decrease hunger cravings. "Drink 1-2 glasses of room temperature water before each meal to decrease hunger and increase hydration, which is often mistaken for hunger." Eating healthy and working out is 100 times easier and more enjoyable with a friend. Challenge yourself and your buddy and set goals -- you'll be surprised at how easy it becomes. "Recruit a friend to join in a fun, new class so you have someone to motivate you and make you accountable," Tuck said. Exercising with friends doesn't feel like exercise. Chances are your kitchen is still full of chocolate, leftover trifle, biscuits and other delicious Christmas foods. To avoid temptation, offload them onto friends, family or colleagues. "Get rid of the leftover Christmas treats. They aren't doing you any favours in the house, tempting you on a daily basis. Donate them or throw them out," Tuck said. This one seems like a no-brainer, but many of us get caught in the trap of exercising hard but eating unhealthily. The secret to a healthy body is in the fridge, not the gym, so make your meals count. "Increase your lean protein at every meal to keep you full, and reduce or eliminate the size of snacks," Tuck said. If you're wondering how you can eat healthy during the week with work, looking after the kids or other commitments, meal prepping is the key. "Prepare your meals and snacks in advance. This will make sure you have the right portion sizes for when you consume your meals and snacks, rather than being caught up in the moment and being at risk of overeating," Clark said. Meal prep saves time, money and calories. Exercising at home is easy and you can do it at any time of the day. Yep, there's no excuse for missing a sweaty workout session. "Try weighted bicep curls, squats, lunges, pushups and sit ups -- 45 seconds of each exercise, 15 second rest, two rounds, no excuses." "Eat smaller meals rather than long, large sit down meals," Clark said. "Don't overeat and eat to 80 percent fullness. "Be in tune with your hunger cues and remember that it takes approximately 20 minutes for you to feel full after you consume food. If you eat to approximately 80 percent fullness, you are less likely to overeat." YouTube has a wealth of incredible workout videos. If you're over restricting your calories or types of food, this will ultimately lead to bingeing. "Don't starve yourself -- you are more at risk of overeating if you do," Clark said. It's easy to only get caught up in 'I need to look like this' or 'Wow, my legs look great'. While it can be encouraging, try to also focus on inner changes like increased energy and sleep quality. "Don't just focus on aesthetic changes. Track other drivers of health such as sleep, energy levels, stress levels, alcohol consumption," Clark told HuffPost Australia. "Seeing improvements in these areas also help with motivation." "Surround yourself with a positive network of friends and colleagues. A positive environment will help lift you and strive to be the best version of yourself," Clark said. "This is someone, or people, who you trust and feel comfortable calling on for help and motivation when you feel it is lacking. These people will also help you stand accountable for your actions, which helps with your progress." Friends who train together, stay together. Hate cardio? Find a type of exercise you love and enjoy doing -- you'll be surprised at how fun working out can be. 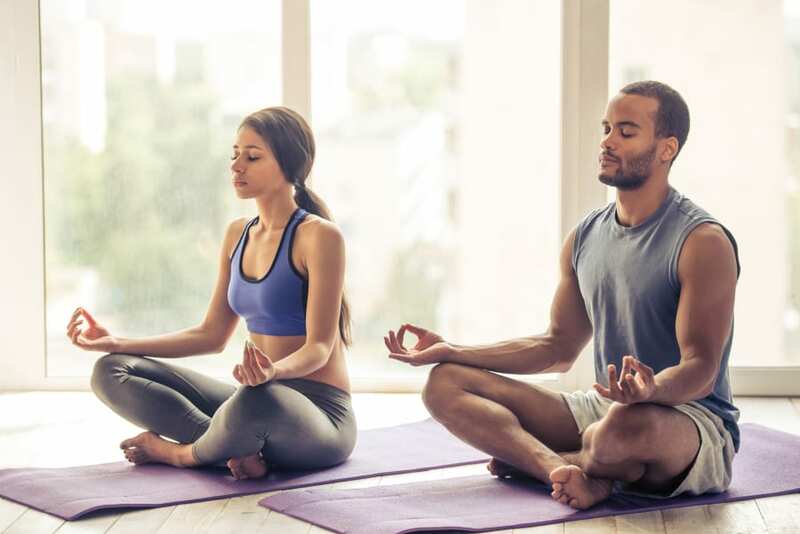 "If you're used to going to the gym or going for a run and your motivation is dwindling because of the monotony, try a new form of activity or try a new sport," Clark said. "Getting some friends together and starting a social competition in a team sport is an excellent way to keep you motivated."